Clove 500mg capsules provide a high strength daily clove supplement packed full of important nutritional compounds. Amongst others, Cloves and clove oil contain gallotannins, triterpenes, flavonoids, and phenolic acids. Clove has been used very successfully to support health digestive function and to help cleanse parasites. Cloves and clove oil is used as a food ingredient and supplement in a number of different health support functions. Clove oil is commonly used as a soothing dietary aid which supports normal and healthy function of the digestive system. 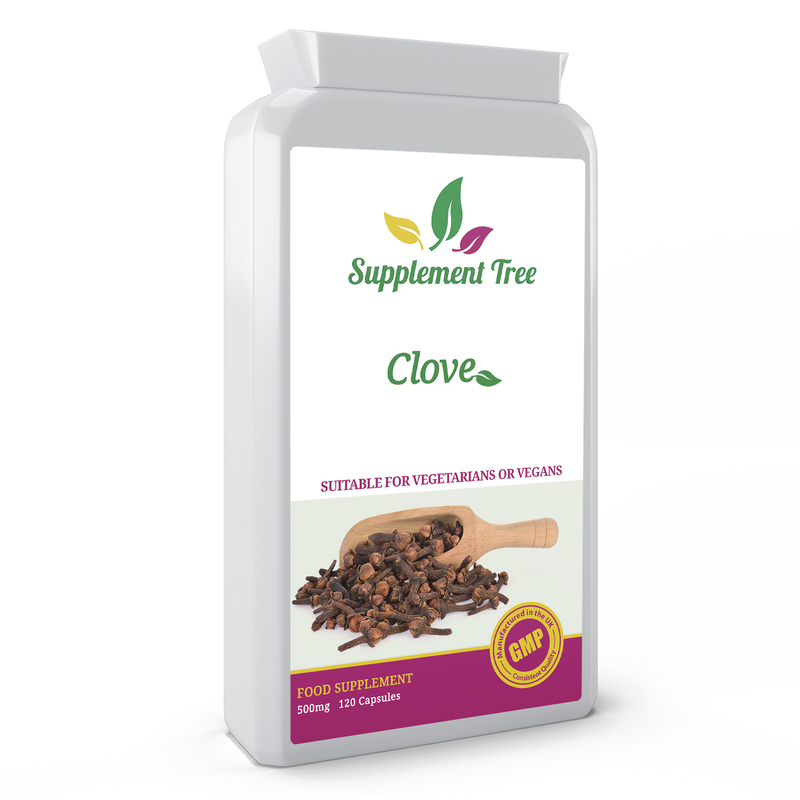 Cloves have also been shown to promote a healthy balance of phlegm, whilst it also has properties which may provide anaesthetic support. 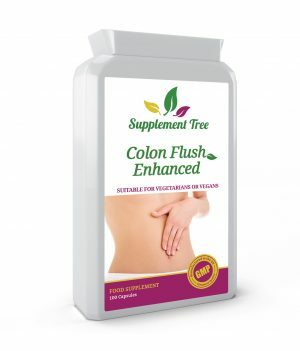 Supplement Tree Clove Capsules are manufactured in the UK to GMP code of practice and ISO 9001 quality assurance certification. 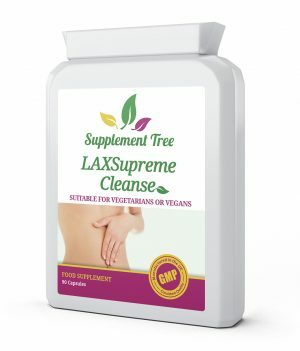 High strength daily clove supplement with no mixers or fillers. Packed full of important nutritional compounds. 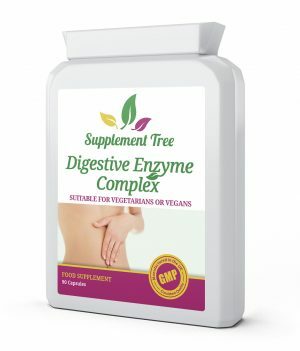 Helps support healthy digestive function. 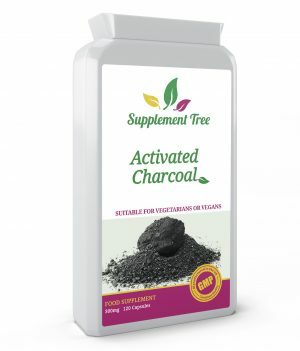 Promotes healthy balance of phlegm – useful for those needing respiratory support. Manufactured in the UK to GMP code of practice and ISO 9001 quality assurance certification. Store in cool dry place, out of reach of children.